A Northern California woman has returned to San Diego in the hopes of finally getting answers after her 25-year-old son went missing in the area nine months ago. 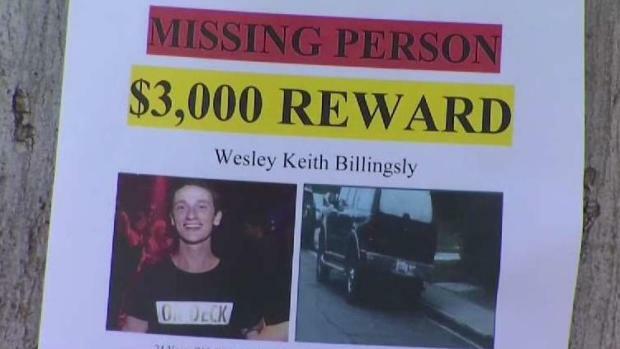 Wesley Billingsly reportedly disappeared on June 12, 2018 when the then-24-year-old was staying with various friends in Pacific Beach. “I try to keep hope, but nine months is a really long time,” said Wesley Billingsly’s mother, Christel Billingsly. Christel Billingsly lives in Sacramento but returned to Pacific Beach after the San Diego Police Department found Wesley Billingsly’s black Ford Expedition abandoned on a city street in the South Bay. Inside the truck, detectives discovered some of Wesley Billingsly’s personal belongings but the 25-year-old was nowhere to be found. Police say the last time anyone heard from 24-year-old Wesley Billings ly was two weeks ago. Since then, no calls, texts or social media posts. NBC 7's Ashley Matthews spoke to his mother. 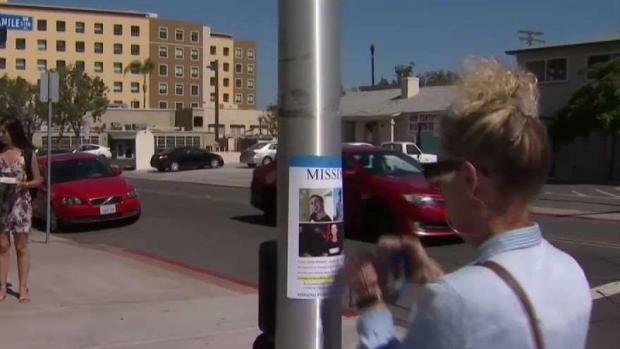 Christel Billingsly has posted countless flyers all around Pacific Beach in search of answers, but SDPD has had little clues or leads in the case. The mother told NBC 7 she’s worried people may be scared to come forward with information. “They're maybe afraid to talk. I mean, maybe it's bad, and they don't want to get in trouble or be linked to a missing person. But this is my child. And he belongs to me and my family. And I would hope that they would think of their mom, or their brother, their uncle. It's just not okay,” Christel Billingsly said. In August 2018, Christel Billingsly came to San Diego to celebrate her son’s birthday. At this time, she offered up a $3,000 reward for any information on Wesley Billingsly’s whereabouts. NBC 7's Ashley Matthews spoke to the mother who came back to San Diego to look for her son on his 25th birthday. Since his disappearance, Wesley Billingsly hasn’t called, texted, or posted to social media, which his mother said is far from the norm. “He’s never done this, and it’s now like he’s dropped off the face of the earth. And we’re searching for him. I don’t know where he is, but I need to know where my son is,” Christel Billingsly told NBC 7 back in June 2018. Wesley Billingsly graduated from San Diego State University in 2016, according to his mother. After school, he moved back home to Sacramento for a short time before returning to San Diego. Christel Billingsly said San Diego had become Wesley's home and is where his heart is. 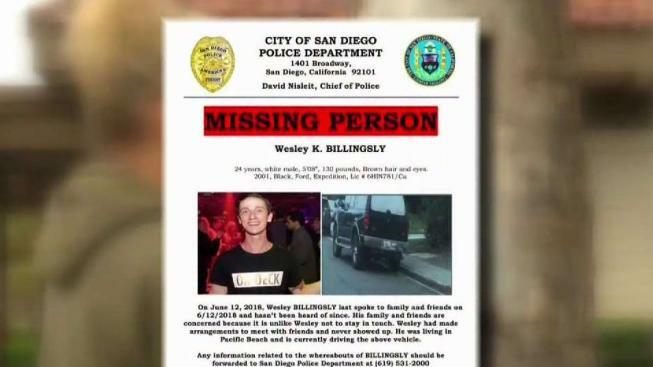 Anyone with information on Wesley Billingsly’s whereabouts is asked to contact SDPD at (619) 531-2277.